Pope Boniface VIII was Pope from 24 December 1294 to his death in 1303. Pope Clement V, born Raymond Bertrand de Got, was Pope from 5 June 1305 to his death in 1314. He is remembered for suppressing the order of the Knights Templar and allowing the execution of many of its members, and as the Pope who moved the Papacy from Rome to Avignon, ushering in the period known as the Avignon Papacy. 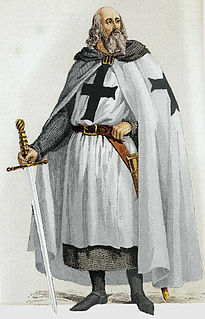 Jacques de Molay, also spelled "Molai", was the 23rd and last Grand Master of the Knights Templar, leading the Order from 20 April 1298 until it was dissolved by order of Pope Clement V in 1312. Though little is known of his actual life and deeds except for his last years as Grand Master, he is one of the best known Templars. 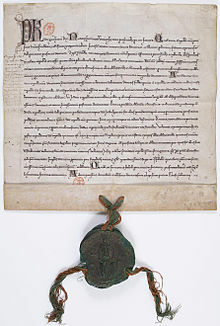 The Council of Vienne was the fifteenth Ecumenical Council of the Roman Catholic Church that met between 1311 and 1312 in Vienne. Its principal act was to withdraw papal support for the Knights Templar on the instigation of Philip IV of France, after the French monarch attacked Rome and killed Pope Boniface VIII. Bernard Saisset was an Occitan bishop of Pamiers, in the County of Foix in the south of France, whose outspoken disrespect for Philip IV of France incurred charges of high treason in the overheated atmosphere of tension between the King and his ministry and Pope Boniface VIII, leading up to the papal bull Unam sanctam of 1302. John II reigned as Duke of Brittany from 1286 until his death, and was also Earl of Richmond in the Peerage of England. He took part in two crusades prior to his accession to the ducal throne. As a duke, John was involved in the conflicts between the kings of France and England. He was crushed to death in an accident during the celebrations of a papal coronation. Geoffroi de Charney,, also known as Guy d'Auvergne, was Preceptor of Normandy for the Knights Templar. Charney was accepted into the Order of Knights Templar at a young age by Amaury de la Roche, the Preceptor of France. Present at the ceremony was brother Jean le Franceys, Preceptor of Pédenac. In 1307 de Charny was arrested, along with the entire Order of Knights Templar in France, and in 1314 was burned at the stake. Joan of Valois was the second eldest daughter of the French prince Charles, Count of Valois, and his first wife, Margaret, Countess of Anjou. As the sister of King Philip VI of France and the mother-in-law of Edward III, she was ideally placed to act as mediator between them. 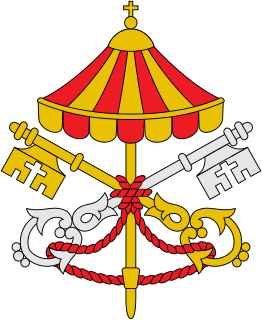 The papal conclave of 1304–05, held in Perugia, was the protracted papal conclave that elected non-cardinal Raymond Bertrand de Got as Pope Clement V and immediately preceded the beginning of the Avignon Papacy. The Knights Templar trace their beginnings to the Latin Kingdom of Jerusalem in c. 1120 when nine Christian knights, under the auspices of King Baldwin II and the Patriarch Warmund, were given the task of protecting pilgrims on the roads to Jerusalem, which they did for nine years until elevated to a military order at the Council of Troyes in 1129. They became an elite fighting force in the Crusades known for their propensity not to retreat or surrender. Requiem is a novel by Robyn Young set during the end of the ninth and final crusade. It was first published by E.P. Dutton in 2008.